Over 115m2 of space. Huge master bedroom plus media room/study/extra multi purpose rooms. FLEXIBILITY! 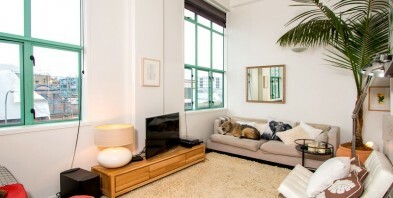 This wonderful apartment (approx 115m2+ including mezzanines) is located in the keenly sought-after George Court building in the bustling K'Rd precinct. Parks, cafes, bars, shops and Queen St are only metres away. Calling creatives, city seekers and character lovers, this is your new city space. Forget the shoeboxes that have been your only alternative up to now. The soaring ceilings and large double-height windows bring fantastic light and sun streaming into the living space, while the clever use of mezzanine areas gives all the flexibility your lifestyle demands. As well as a large master bedroom with city views there are two further rooms tucked away in an internal double storey pod tower. Work from home or be the favourite drop-in destination for guests, you can do it all. The sense of community that has evolved in this building is reminiscent of a village, yet the expansive corporate areas give a sense of space and privacy between neighbours. A secure carpark is provided, but be warned, your car may well become redundant! Browse through the photos and put yourself in the frame, then come along and experience the feeling that is only available to a select few. PLEASE NOTE: All open home access from Mercury Lane lobby. (Not Karangahape Rd Arcade).